Did a Chinese Scientist Really Perform Gene Editing? Recently, Chinese scientist Dr. He Jiankui made a statement of historical proportions. Jiankui says he successfully brought 2 gene-edited babies into the world. The question: is it possible? With the new CRISPR-Cas9 technology, gene editing is indeed possible. The technology allows scientists to alter DNA code in a similar way to how bacteria protects against viruses. However, many are saying Jiankui’s move is unethical. Dr. Kiran Musunuru is a gene editing expert and researcher at the University of Pennsylvania. In a report from Popular Science, Musunuru called this new research “abominable” and a human experimentation (1). According to the magazine, Musunuru opposes Jiankui’s scheme because he performed the gene editing without transparency or oversight. Plus, Musunuru claims he saw a draft of the research paper which indicated the babies had unintended genetic mutations, reports Popular Science. 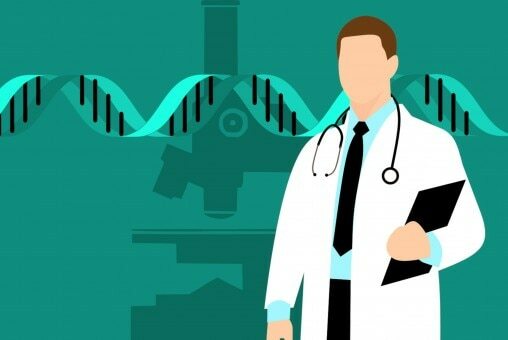 Whether or not the scientist is hiding such information, Dr. Jiankui did perform his gene editing on humans without fully knowing the results. This action is why scientific experts are questioning his ethics. Dr. Jiankui told the Associated Press that society will have to decide whether to accept or reject this step (2). The newspaper points out, however, that such gene editing has only been performed on adults with deadly diseases. Editing the genes in an embryo could have future ramifications for the baby and its offspring. Dr. Jiankui explains his actions in a promotional video he released on YouTube (3). In the video, Jiankui relates how he edited genetic code with the purpose of preventing the children from getting HIV. The children’s father has the disease himself, and their altered code could protect them from a similar fate. Jiankui does mention how editing human genes in order to gain more desirable characteristics should be banned. However, the secrecy surrounding Dr. Jiankui’s actions raise questions. In fact, Dr. Jiankui is taking heat from the university where he works. The Southern University of Science and Technology denies any knowledge of the scientist’s research (4). The university is calling for an international committee to investigate Dr. Jiankui’s claim and ethics in this matter. According to Fox News, over 100 scientists are petitioning for more oversight over gene editing (5). This situation proves that such powerful technology could become skewed in the wrong hands. What the public would like to know is if Dr. Jiankui’s hands were exactly that—the wrong ones. Whatever the verdict on the Chinese scientist’s investigations, one thing must be known. Editing human code is not ethical. It’s not even science. It’s human experimentation with lives at stake.